In my quest to add more fiber to my diet, I’ve been looking at various dishes with legumes. 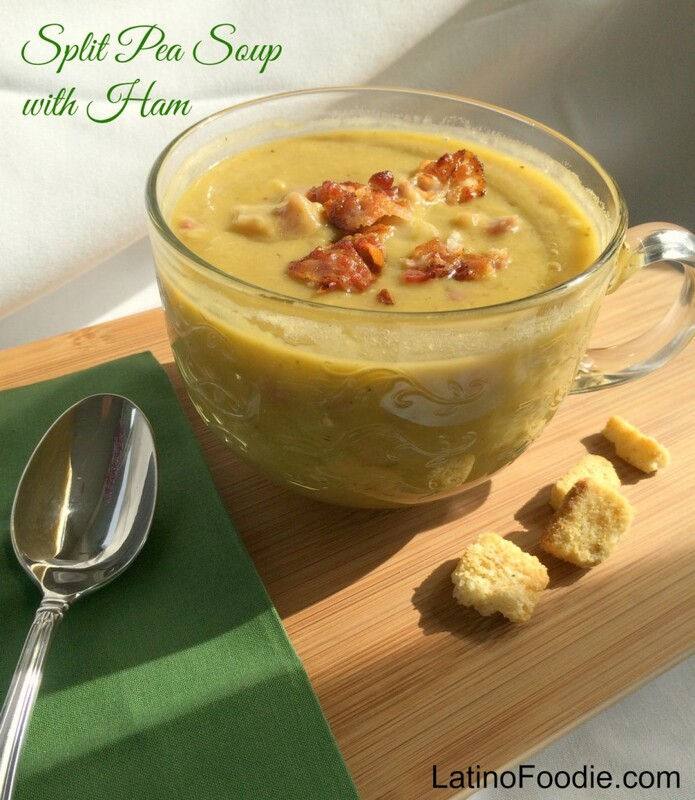 I ran across an old recipe from a magazine that I had cut out YEARS AGO for Split Pea Soup with Ham. The soup’s texture becomes creamy from a slow cooking of about two hours. But, it’s the bacon and ham hock that make this ensemble work. Carrots and onion accent the subtle flavor of the split peas. I have adapted that original recipe with a few added ingredients, such as celery seed and good quality chicken stock. Enjoy! 1 smoked ham hock — THIS ADDS SO MUCH FLAVOR! In a large stock pot cook bacon over medium-high heat, stirring, until crisp and transfer bacon to paper towels to drain. Pour off all but about 1/4 cup bacon fat from the pot and cook onions and carrots, stirring, until softened. Add remaining ingredients and simmer, uncovered, stirring occasionally and adding 1 to 2 cups more water if soup becomes too thick, 2 hours. Remove pot from heat and transfer ham hock with a slotted spoon to a cutting board. Discard fat and bones and chop meat. Return meat to pot and simmer soup, stirring, until heated through. Discard bay leaf. Just before serving, crumble bacon and sprinkle over soup. A large slice of warm, crusty French bread smothered with good quality butter would be perfect with this soup.